Our faculty and staff are some of the most highly-decorated veterans of the game. They come from all over the country to share their vast pool of knowledge, experiences and professional networks. Dr. Tim Somerville is a pioneer in golf education, with an unparalleled background. 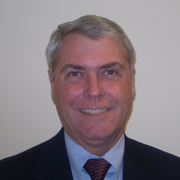 Dr. Somerville earned his Ph.D. from Ohio State University, where he also served as an instructor and coach. His educational and sports background, combined with extensive teaching experience, provide an ideal platform to serve as President of the golf college. Dr. Somerville crafted the definitive curriculum for Professional Golf Management and left an indelible imprint on the landscape of golf education. Over the course of the last three decades he served as an owner and Executive Director of the San Diego Golf Academy (now, Golf Academy of America) for eight years. He also started the Golf Academy of the South in Orlando, Florida. After leaving that position, he created the Professional Golfers Career College in 1990, committing himself to assembling the most exemplary staff of golf professionals as faculty and instructors at each PGCC campus. In 2011 the Southern California section of the PGA – Inland Empire chapter awarded Dr. Somerville its Honorary Life Member Award. This award was given in appreciation for his dedicated service to the game of golf, his distinctive contributions and love of the golf profession. Dr. Somerville directs the academic program and faculty performance of the college. He also teaches classes in History of Golf, and Attitude & Motivation. 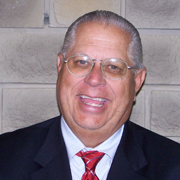 He is recognized as the senior educator among all professional golf schools. Mr. Skovron has held every possible position in a golf course operation, working his way up he’s been Assistant Professional, Head Golf Professional, Golf Director, General Manager, Course Construction, & Golf Course Development and Tournament Director. You cannot be successful in these roles overnight and in career that spans over 4 decades he’s proven that there is no substitute for hard work and passion. Mr. Skovron has been honored numerous times, in 1990 he was named Merchandiser of the Year for public courses by the SCPGA, and in 2008 he was named Golf Professional of the Year by the Inland Empire PGA and in both 1986 and 1990 he was nominated by Golf Digest for heading up the Golf Shop of the Year. He doesn’t draw the line at awards though; his career is has been heavily dedicated to service. From 1980 to 1982 he was the President San Diego Chapter PGA and from 2005 to 2010 he sat on the Inland Empire Chapter PGA Board of Directors. In the late 1960’s his education brought him from Great Falls, MT where he was attending the College of Great Falls, to the University of San Diego in Southern California, which is also where he completed PGA Business School I&II. 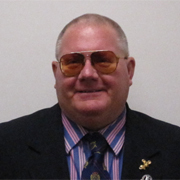 Mr.Skovron is the instructor for Country Club Management, Food & Beverage at the Temecula campus. Mr. Johnston has had an illustrious career designing golf courses. He is a member, and the past President, of the American Society of Golf Course Architects. In addition to his affiliation with the ASGA, he is also a member of the American Society of Landscape Architects, a Founder member of the Keepers of the Green, and President of the Spanish Wells Golf Club, in Hilton Head, South Carolina. In 1973 Mr. Johnston received his B.A. from North Carolina State University in Environmental Design with an emphasis on Landscape Architecture, and four short years later, he became a registered landscape architect in South Carolina. In 1987 Mr. Johnston created his firm, Clyde Johnston Designs, Inc., Golf Course and Land Planning. Since its inception in 1987, his firm has completed the design of 36 18-hole golf courses, one nine-hole course, and renovation plans for over 40 other courses. Over the course of his career he has studied at the sides of some of the most influential names in golf course design. He assisted Gary Player’s course design company on a number of projects, and spent 13 years working with William Byrd, well-known golf course architect. Mr. Johnston teaches Golf Course Design & Development at the Hilton Head campus. Mr. Hoff has been in the golf business for over 30 years, and a class A member of the PGA for 24. He entered into the golf business in 1980 with an apprenticeship in the private club sector at the Marietta Country Club in Marietta, Ohio and his formal education includes the Golfworks Club Repair and Design school in Newark, Ohio. After completing the program at Golfworks, Hoff left Ohio heading south to work in the private club sector working directly with the owner of The Golf Club of West Virginia. Early on, Mr. Hoff was a tour player, participating in the mini tours throughout North Florida. After his playing career, Jim joined the HMS Golf Management team in Savannah, Georgia, overseeing the completion and opening of the Southbridge Golf Club. For a decade he oversaw daily operations for McKinley Golf Corporation on Hilton Head Island becoming the corporate controller for the corporation. His background in golf operations makes him supremely qualified be our Director of Career Placement and instructor for our Golf Operations and Country Club Management courses at the Hilton Head campus. Mr. Murphy grew up in Houston, Texas and began playing golf in high school he was a member of Houston Golf Association’s Junior Golf Program and was one of the best junior golfers in Texas in his day. He played golf in college and at the highest amateur levels for many years. During this time, he earned his BS in Business Administration with a major in Accounting from Oklahoma City University and has completed work at the graduate level at Xavier University. Upon his retirement as a Congressional Investigator for the US Congress in 1999, he began his second career as a Golf Rules Official. 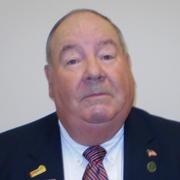 He served on the Board of the Greater Cincinnati Golf Association for 12 years where he was heavily involved in rules officiating. Mr. Murphy officiates at junior events, College events, elite amateur events, USGA events, and Professional Tournaments. He is a member of the USGA’s Regional Affairs Committee, who is consistently ranked as one of the most knowledgeable on the Rules of Golf and Tournament Administration. He currently serves as Rules Chairman for the Verizon Junior Heritage, Rice Planters Amateur Championship, and the Players Amateur. He also officiates at the Azalea Invitational, the Porter Cup, and the Sunnehanna Amateur. 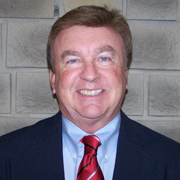 He serves on the Board of the South Carolina Golf Association and is chairman of its Tournament Committee. Mr. Murphy is the instructor for Rules of Golf at the Hilton Head campus. Mr. Adamiak has been a member of the PGA for over a decade. A faculty member at the PGCC campus in Temecula, California he also maintains the position of Director of Instruction at the Legends Golf Club in Temecula. Mr. Adamiak shares his expertise as an instructor for the Techniques of Golf Teaching I, and Clinic Planning courses for the golf college. 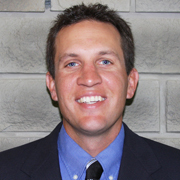 Mr. Adamiak holds a degree in Recreation and Sports Management from the University of Iowa. He received the 2010 Teacher of the Year Award for the Southern California P.G.A. Inland Empire Chapter, a cherished moment in his nearly two decade golf education career.